Our dogs are lovingly kept on a small holding in Klipriver, just outside Alberton where we reside. Our first Lhasa Apso was purchased in 1995 which started an ongoing passion for this incredible breed. 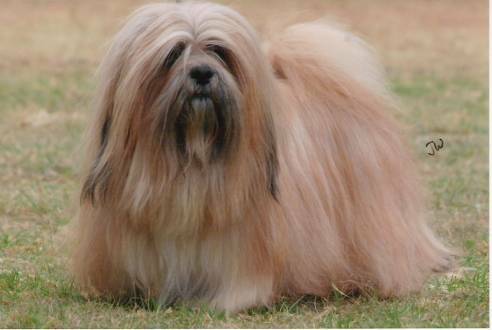 Our objective is to breed show quality Lhasa Apso’s according to the breed standard. Breeding is only undertaken when we ourselves would like something new for the show ring. Our kennel name, “ApsoSengKye” is the Tibetan word meaning “Bark Lion Sentinel Dog” which is what the breed was known as. The Lhasa Apso is a charming breed with a personality that speaks for itself. They define the word love and will undoubtedly steal your heart. They ooze character and you will find yourself being owned by a Lhasa. They might not be large dogs, but they have the courage and temperament of a fearless watch dog. The Lhasa has an uncanny ability to tell friend from foe. The breed originates from Tibet and was kept in the monasteries and temples to warn of would be intruders. Puppies are carefully selected and sold only to selected, loving homes. Puppies are raised under 24/7 supervision and have the run of the house. All puppies are registered with KUSA breeding restrictions and sold on contract. Puppies are sold with spay / neuter contracts unless otherwise agreed upon. Puppies are vaccinated, dewormed and a micro chip will be implanted in every puppy before it leaves us.